One of the top ways to stay healthy has to do with what you put into your body. You have most likely heard of the word micronutrients, and how important they are for staying healthy. But, micronutrients are not actually produced in your body. What this means is that in order to reap the benefits of micronutrients, you must integrate them into your diet. 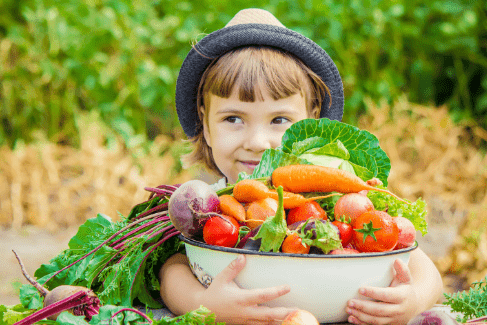 There are many positive impacts of having a diet filled with micronutrients, and those include disease prevention, growth & development and general wellbeing. Micronutrients can be broken down into two categories: vitamins and minerals. Vitamins are organic compounds made by plants and animals that are broken down by heat, acid and air and are important for energy production, immune function, blood clotting and other primary functions. Minerals are inorganic substances that exist in soil or water and cannot be broken down. Minerals are vital for growth, bone health, fluid balance and other health processes in your body. Over the next couple of weeks, we are going to be diving into specific details about macronutrients and how to most effectively integrate them into your diet. We want you to be the healthiest version of yourself, so follow along The Minute for more health information!